Create a FREE TrustPilot Account Here! DISCLAIMER: We have referred 100s of companies to TrustPilot. Get your discount here! They might pay us a referral fee. Your prospective customers will read your reviews before buying your product or service. Your reviews, or lack of reviews, are going to influence your website visitors to purchase or leave your site. Think about it! When you buy something from Amazon or Ebay, do you read the reviews? What if there aren’t any reviews for a particular product, would you still buy it? 1) What kinds of companies should choose Trustpilot? 4) Why Is TrustPilot the most recognized 3rd party review aggregator? TrustPilot is the most well-known 3rd party review aggregator. With 270,000 businesses that have reviews on TrustPilot, is it worth paying the monthly subscription? Just look at some of their customers! TrustPilot is mainly for ecommerce companies (the Pro plan is for ecommerce companies). Service-based companies can also use TrustPilot, but most likely they don’t need the higher paid plans (the Lite plan should be good enough). It’s for any company that has an online store or has a fair amount of traffic. Who is TrustPilot not for? TrustPilot can be expensive for the small mom & pop operation. Companies without anything to sell like blogging websites, gov’t websites, personal hobby sites, etc., probably don’t need TrustPilot, UNLESS they are using Google Ads. For these companies, it’s probably best to focus on getting reviews on local platforms like Google Reviews, Yelp, and Facebook. TrustPilot collects and displays reviews for your company. This is where the strength of TrustPilot comes in. For ecommerce sites, it serves to gather Seller Reviews and Product Reviews. For service-based companies, it serves to gather Seller Reviews. 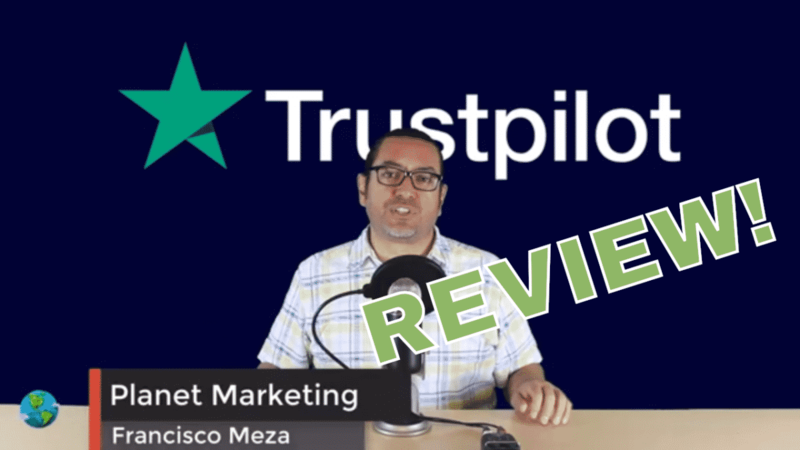 If you’re using Google Ads (formerly Adwords), you need to really consider using TrustPilot. Ecommerce and service-based companies benefit from Seller Ratings. Your credibility starts at the search engine. Below is an example of Seller Ratings. If you have an online store and want stars to show in your Google Shopping PLAs, you need to get on TrustPilot. The image below shows how your product ratings will display right on Google search results. Note: sometimes the ads will run along the right-hand side of the screen. If you run a service-based business, most likely you’ll only need the Lite plan. If you run an ecommerce site and you’re running Google Shopping PLA ads, then you’ll need to get the Pro plan and get the Addon under “Product reviews”. If you run an ecommerce company and you’re NOT using Google Shopping, then you do NOT need to purchase the ‘Product reviews’ addon. Peter Holten Mühlmann (founder and CEO) started TrustPilot in 2007. It’s amongst the oldest review companies that Google approved to become one of it’s 33 approved 3rd party aggregator. Not only are they licensed by Google to syndicate ratings from TrustPilot into Google Ads, but they also have $55 million in outside funding, 700 employees, and 7 global offices. It’s headquartered in Copenhagen, Denmark with offices in London, New York, Denver, Vilnius, Berlin, and Melbourne. They have a really large sales department. A few years ago I, Francisco the owner of Planet Marketing, thought their sales department was too aggressive/relentless, but now I think they are much better at building relationships with prospective customers instead of conducting ‘hard sales pitches’ on the phone. When you get your demo, the sales rep will show you in detail everything on the dashboard. We won’t be going over every detail here, just the money making areas. 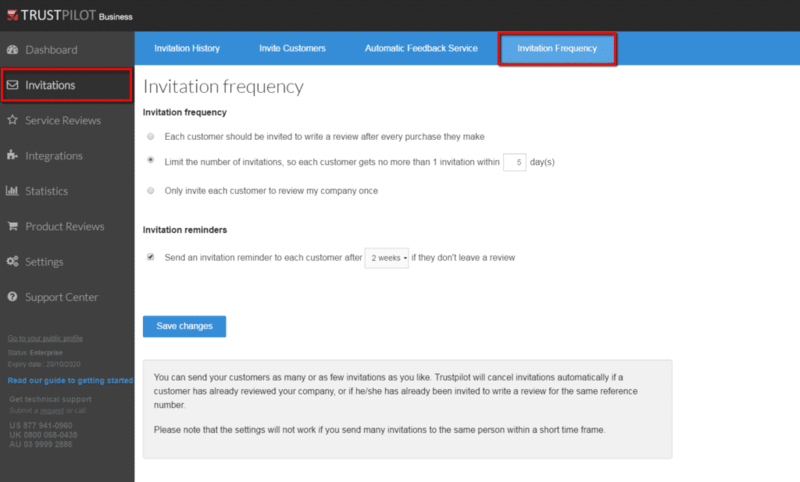 TrustPilot’s system will automate sending out emails for you. You will not need to manually send reminders. I don’t know of a single company that has a 100% 5-star rating. You WILL get a negative review here and there. However, if you feel there was an undeserved negative rating, you can dispute it here. Enhance Visibility – Get your ratings to display directly on Google Ads. If you run an ecommerce company, you’ll want to get Seller Ratings for your CPC text ads. Also, you’ll want to get the addon so you can display your ratings underneath your Google Shopping PLA ads. If you run a service-based website, the only thing you need is Seller Ratings. Improve your conversion rate – Reviews play a very important role in convincing a prospective buyer to purchase or to pass on your product. Think about this, Amazon and eBay built their business off off trust. Would you buy a product from Amazon that has zero reviews? I wouldn’t. Manage your reputation – Your reputation is what helps sell more products or services through online marketing efforts. Also, you need to beat your competitors! TrustPilot will help you gather reviews and build that reputation for you. It’s a Google ranking factor! What do you like or dislike about TrustPilot? Leave your response in the comments below!